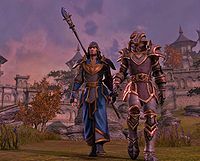 The Elder Scrolls Online (currently branded as The Elder Scrolls Online: Tamriel Unlimited) is a massively multiplayer online role-playing game spin-off of the Elder Scrolls franchise. 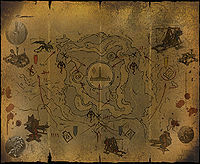 It takes place roughly 1,000 years before the events of Skyrim, specifically, the year 2E 582. ZeniMax is currently accepting applicants for beta testing the console versions. The gameplay featured in The Elder Scrolls Online is radically different when compared to its predecessors. The game can be experienced from the third person, first person, or over the shoulder, with full first person receiving just as much support as the other views will. Character creation and development is class-based, with level progression being experience-based rather than skill-based. Combat will be in real-time, based on health, stamina and magicka, with a focus on the stamina-bar, which controls their ability to block, break, and interrupt enemy attacks. All players can sneak, but doing so consumes stamina. There is no pickpocketing or stealing from other players in the game . The player also controls the use of special abilities that come from their equipment or their abilities. 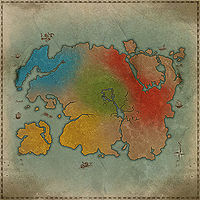 The province of Cyrodiil is particularly worthy of note. 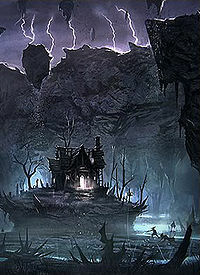 To make the province look and feel the same way as the province did in Oblivion, certain aspects of Oblivion, such as the game's height, maps, and locations such as caves and ruins, have been replicated in The Elder Scrolls Online. From March 17, 2015, Elder Scrolls Online will be moved to a buy-to-play/freemium hybrid under the title The Elder Scrolls Online: Tamriel Unlimited. 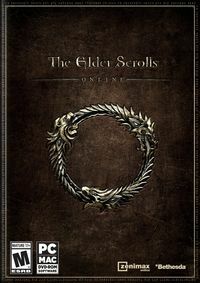 Owners of the game will be able to play for free with no subscription required, with an optional premium service called ESO Plus becoming available at the previous rate of $14.99/€12.99/£8.99 per month. Tamriel Unlimited will also see the introduction of the Crown Store, an in-game cash shop offering convenience and customization items. ^ a b Sign Up for The Elder Scrolls Online Beta Test Today! Esta página foi modificada pela última vez à(s) 11h37min de 17 de março de 2015.